TME's offer has been expanded to include new XT30 and XT60 series high current power connectors from AMASS. 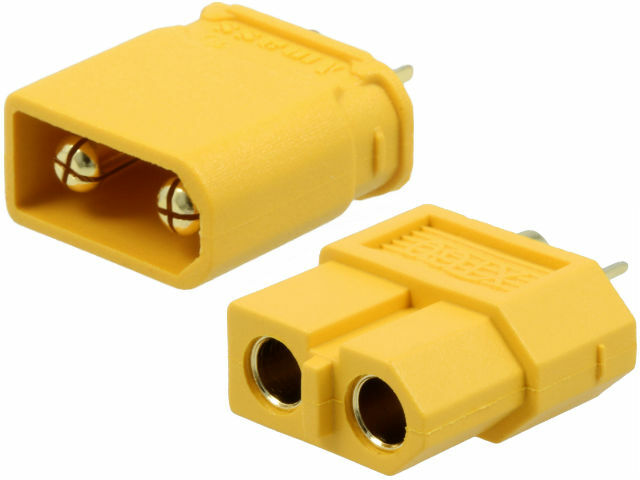 These connectors are available in cable and PCB versions. They are characterised by high current capacity (30–60A) and relatively small size. They are a perfect fit for high current battery packs. They can be used in various applications, i.a. model building.